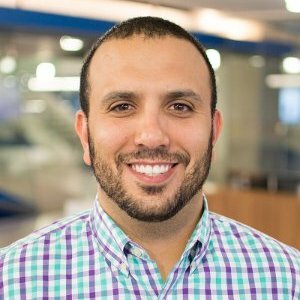 For today’s Q & A, we’re publishing the first part of our chat with Jason Rozenblat, a seasoned sales leader with experiences ranging from LivingSocial, to Yodle, and CVENT. Something you’ve learned from a sales person in the last 3 months? Keeping your word and being consistent. There are times where things move so fast and you may say something and either forget you said it or just totally ignore it altogether. Reps don’t forget. Never wear your emotions on your sleeve. Your reps feed off of your energy, so always be very self-aware around them. Understanding where reps were losing deals in the funnel told me so much, and guided my ability to properly coach. Start with a very strong foundation (do not settle! this could be a fatal error). Hire slow, fire fast. I’ve built teams from scratch, and the best learning experience for me was failing miserably at my first attempt. My first 3 hires turned out to be terrible choices. Good guys, and actually pretty decent at sales. Just not the right personalities. I ended up firing them all after 2 months. Your first few hires will essentially become the blueprint you want to clone. You can’t be everywhere at once, so you want those first hires to represent your beliefs/strategy as much as possible. Something that worked really well for me was coming up with a list of my leadership principles and sharing them with my team. It told the team a lot about how i manage, what makes me tick, what motivates me, etc. It led to a very transparent and healthy relationship with the team. When done well, it’s highly effective. Couple of thoughts: always research your prospects and have a reason for calling, otherwise you’re dead in the water. If budget allows for it, hire an SDR to do this so your closers can focus on closing. Best technique for helping new sales people ramp in your organization? I think the key is getting them a few wins under their belt early on, even if it’s you leading the way. I had a VP sales that said “I don’t care if you close the deal for them, show them how to do it.” Other than that, throwing them into the fire quickly is important. I don’t believe in easing anyone into a sales role. Babe Ruth said ““Every strike brings me closer to the next home run.” Reps need to get told no a few times, practice their pitch, practice their objection handling. The more they can get punched in the mouth early on, the quicker they will be ready. 1) I have a promise to my top performers to surround them with more top talent. Don’t allow there to be mediocrity, otherwise you run the risk of bringing down the top talent. 2) Most of the time, there is a finite # of seats. Don’t let a seat by occupied by someone who is mediocre when there is a potential all-star out there that wants that seat. *It’s important to constantly track conversions and optimize sales math based on what your team needs to be doing. Don’t set it and forget it, and don’t paint everyone with one broad stroke. Some reps have much higher conversion rates than others. Let them know the “why” and the “WIIFM (whats in it for me)” and try, when applicable, to get their input on creating policies, contests, potentially even comp plans. I am a big fan of sending out surveys (surveymonkey ftw) to make it as much of a democratic process as possible, but also letting them know when its not really up for debate. At the end of the days, reps want to know how things impact them/their paycheck. I’ve always led with transparency, and that has helped with getting buy-in as well. Jason is currently a VP of Inside Sales and prior to that he was a Director of Sales at CVENT, and LivingSocial. You can find him on Linkedin here, and on Twitter here.